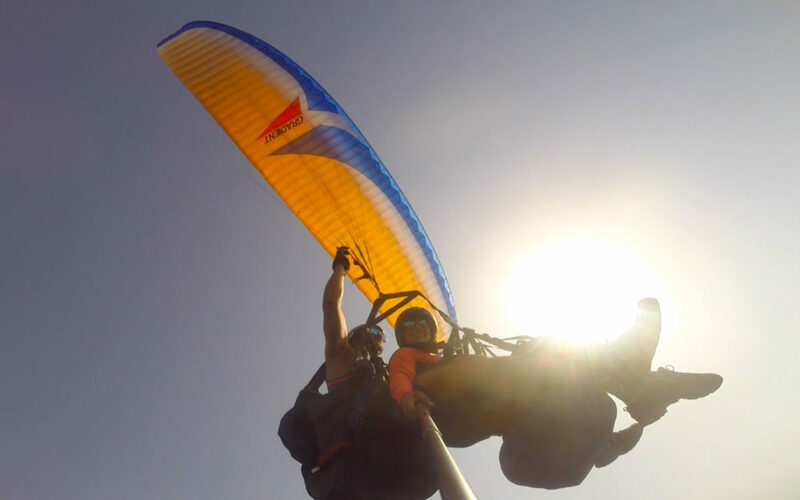 If you want to know why the birds keep singing, run off a mountain together with a tandem pilot and get a first-hand experience of free flight. 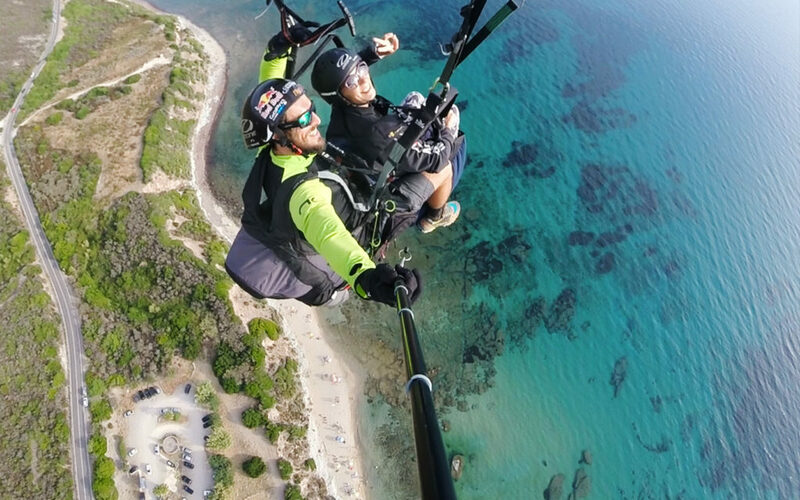 It’s difficult to describe the joyful sensation of defying gravity as you soar back and forward above the coastline. 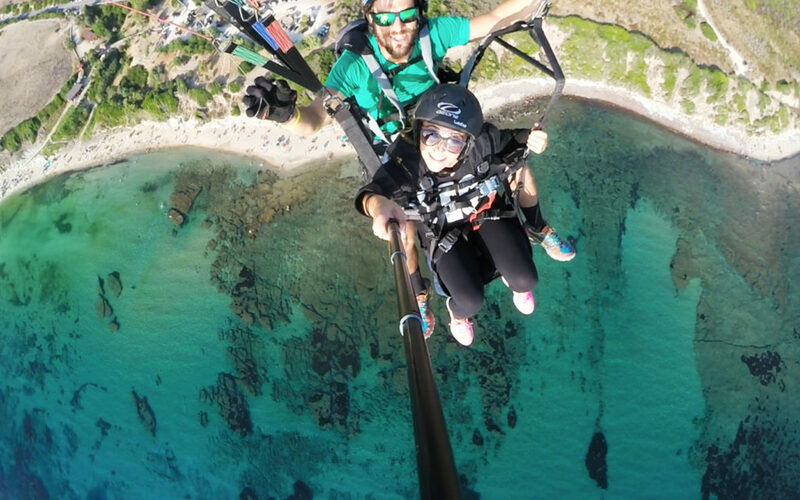 Your tandem paraglider will be piloted by one of our professional tandem instructors – and you will be sitting safely in front of him, feeling the sensation of free flight. You will visit the sky without noise: with only the whisper of the wind around you. Pick up, if selected.starts 20 min. before booked time. Up to 10/15 min. 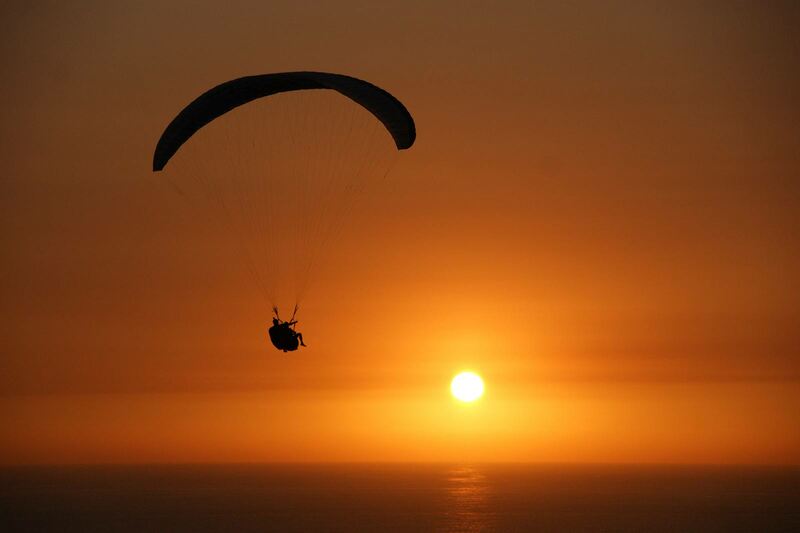 Paragliding flight if conditions allow. 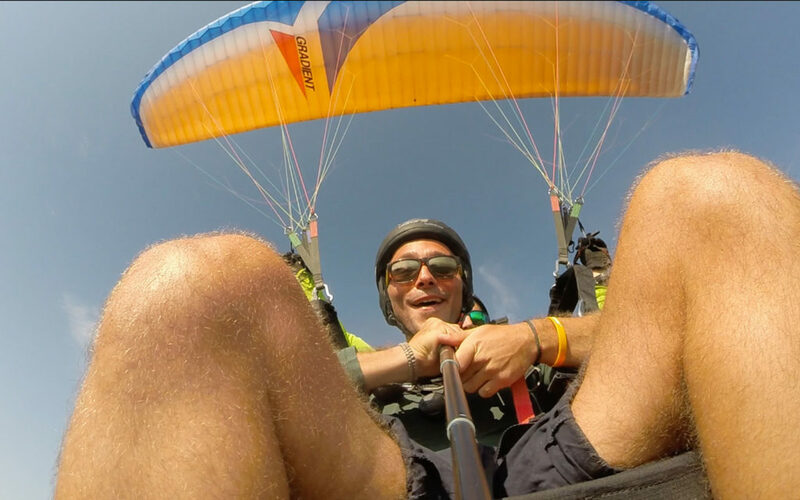 GoPro video.